Whether you’re moving houses, into an assisted living community or conducting an estate sale, senior moving services can help you with multiple aspects of relocating and selling your belongings. Moves For Seniors is a nationally licensed logistics provider offering a variety of senior moving services. Services include local and nationwide moving, discard and decluttering, legacy services and labor-only services. Caring Transitions has franchises in 41 states. 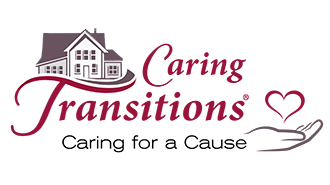 It is a Certified Relocation Transitions Specialist (CRTS) and offers multiple senior moving services like downsizing and decluttering, move management and estate sales. 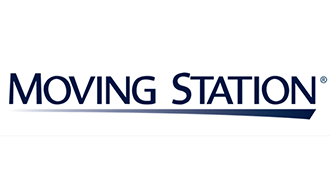 Moving Station has been a senior moving service company for over 20 years. It’s worked with more than 40,000 retirees and over 500 senior communities. In addition to moving services, Moving Station’s real estate agents specialize in assisting seniors with buying and selling homes, with over $4 billion in sales through the Moving Station Home Sale Program. We evaluated nine senior moving service companies and selected the three best choices after carefully researching each one. We checked ratings from consumers and independent reviews and compare each company’s packages, services, and fees for our evaluations. Our choices for the best senior moving services are Moves For Seniors, Moving Station and Caring Transitions. The history of the National Association of Senior Move Managers (NASMM) tells a story of growth. In the 1990s, a few senior moving service companies existed. Sixteen of these companies formed the NASMM in 2002 and today, the organization has over 900 members serving retirees across the nation. Use this guide to learn about the differences between traditional moving companies and those specializing in moving retired individuals, get tips for choosing a senior moving service and learn about our top picks for senior moving service companies. You will also find helpful frequently asked questions about using these services later in this guide. Why Use a Senior Moving Service? Whether you are moving to a smaller home, condo or assisted living apartment, there is much more to the process than merely packing boxes and loading furniture. Leaving familiar surroundings and memories behind, likely combined with the need to get rid of belongings to accommodate your new home can feel more like a loss and less like a new adventure. It’s easy to feel overwhelmed with even getting started with preparing to move, and family members may be spread out over the country and unable to assist. For many, it’s a relief to have a senior moving service to help. A regular professional moving company effectively routes trucks, loads up boxes and belongings, then delivers to your destination. Senior moving services add to that with an understanding of the physical and emotional challenges retirees face when moving from or downsizing their family home. Senior moving companies offer flexible services from which to choose, like help with selling your house, finding a new home, downsizing, and selling belongings you won’t take to the new location. These services can even spruce up your existing home with paint, stage furniture and more to ensure you get the most when you sell your house. Senior moving services have a firm grasp of the organizational and physical tasks associated with planning and implementing moving a home which, for some, is the first move in 30 years or more. Some senior moving services work hand-in-hand with assisted living communities to ease the transition for new residents and current residents looking to relocate within the community. If you are researching assisted living options, ask if facilities partner with any moving services. Like most traditional moving services, it’s impossible to get set pricing since each move is different. Keep in mind, senior moving service companies charge by the hour and some charge a flat fee. Hourly rates we saw are between $30 and $125 across the country and almost half of senior moves take anywhere from 17-32 hours to complete, according to Senior Advisor. We researched estimates for senior moving services across the country and listed them below. *Estate sale and auction pricing varies greatly depending on the size of the estate. A senior moving specialist starts by helping clients with planning, making decisions and organizing the move. Once the client moves into the new home, post-move support and advocacy are available. Senior moving specialists know about lifestyle transitions as well as they understand relocation logistics. Their processes and strategies save seniors time, money and stress. 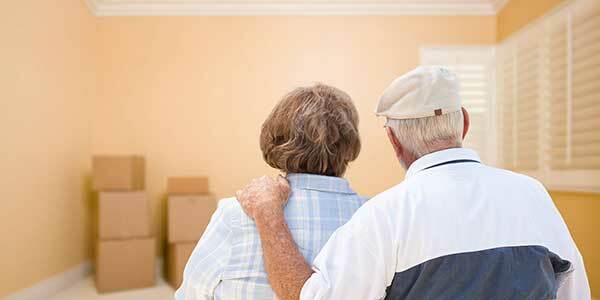 One of the many upsides to utilizing a senior moving services company is you maintain control of the moving process. When you have complete control of the relocation, you will retain a sense of choice rather than feeling displaced. Before starting the process of sorting through belongings, a senior moving service will draw up a floor plan of the new home. The plan is used to determine where furniture and other belongings will fit and are drawn up while considering storage space. Having a realistic picture of how much the new home holds helps guide the process of deciding what belongings to keep. Most people who live in a house or apartment for years accumulate some clutter, like old clothing and linens, furniture, tools, papers and more. Senior moving services specialize in helping you determine what things are essential or meaningful and what can go before you relocate. These specialists help you organize the things you want or need to keep and sell or properly dispose of the clutter. Decluttering is especially useful for those moving from, say a 2,000 square foot home to a 1,000 square foot room. Most people have no idea what to charge for items they wish to sell, or if some belongings are salable at all. Senior moving services are very familiar with the best avenue to take to sell belongings, whether via online auctions or estate sales. Some companies employ estate sale and auction specialists, while others have a relationship with a reliable network of professionals who know how to sell your belongings for the highest possible dollar. You will pay a fee for the service but are likely to walk away with more money in your pocket than if you tried to sell your stuff on your own. Whether you are moving to a house, apartment or an assisted living community, senior moving services can help even after the moving van leaves your new home. Depending on the options selected for your moving package, you can have help with unpacking boxes and putting belongings away, or the company associates can do all the unpacking for you, even before you arrive if you prefer. Wall art, photos, furniture and other items get placed as you specify when drawing up plans for your move. If you are moving to another state, a senior moving service will assist you in the new location to help you set up your home and get oriented. 1. We searched for an extensive list of 9 senior moving services. 2. We evaluated senior moving services based on our expert-guided buying criteria: consumers and independent reviews, service add-ons, customer service and cost. 3. We provided you with the best senior moving service companies for consideration. For most, relocating after living in the same home for 20 to 30 years can be daunting and knowing where to get help with things like estate sales, auctions and decluttering can be overwhelming. Our in-depth analysis focused on each senior moving company’s reputation, the variety of offerings, cost and other criteria. We researched the top 9 companies specializing in senior moving services. Then we narrowed the list to our top three based on specific criteria we set by extensive research. The result was a list of three of the top senior moving service companies. After our evaluation, we chose the best senior moving service companies. Each of these companies stood out above the competition. Founded in 2007 under the parent company, Transit Systems Inc., Moves For Seniors is a nationally licensed logistics provider offering a wide variety of senior moving services. Moves for Seniors promises to make your transition simple, stress-free, comforting and pleasant. Customer reviews indicate the company is meeting those goals with friendly, professional staff. We couldn’t find many online reviews for Moves for Seniors and they aren’t on the Better Business Bureau’s website. Yelp shows them with a rating of 3 out of 5 stars based on two reviews. 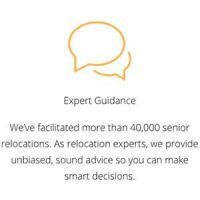 Read our full Moves for Seniors review for more information and details on their senior-specific services. With franchises in 41 states and expanding, you will probably find a Caring Transitions senior moving team near you. 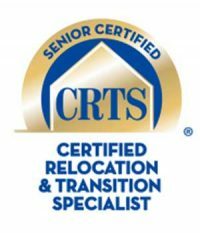 Each Caring Transitions owner must earn the Certified Relocation Transitions Specialist (CRTS) designation, so you can be assured the company upholds high standards. All Caring Transitions employees maintain ongoing education requirements, are bonded, insured and thoroughly screened. As a franchise, Caring Transitions has a proven system for carefree moving. Caring Transitions is not accredited or rated by the Better Business Burau (BBB) but has two 5-star reviews on the BBB website. It has 3.7 stars on Google Reviews and 4 stars on Yelp. Read our comprehensive Caring Transitions profile for more information on offered services. Moving Station has been moving seniors for over 20 years, assisting over 40,000 retirees. The company also has worked with more than 500 senior communities across the country to ease the transition for incoming residents. In addition to moving services, Moving Station’s real estate agents specialize in assisting seniors with buying and selling homes, with over $4 billion in sales through the Moving Station Home Sale Program. The company also offers financial programs for complete moving assistance packages. Moving Station has an “A+” rating with the Better Business Bureau (BBB) although it isn’t BBB accredited. It gets five stars on Facebook and Google Reviews. Read our comprehensive Moving Station review for complete details on their services. Who uses senior moving services? Senior moving services have been contacted for help by older adults, families, bank and trust officers, geriatric care managers, attorneys, social service providers, senior living communities, realtors and more. I have a lot to sell. Can a senior moving service help? Yes, this is one area where you can make money by using a senior moving service. Whether the service runs estate sales themselves or partners with a professional, your items are accurately appraised and marketed. Why would I want to let a senior moving service decide what I keep? Reliable senior moving services like our top three companies make your wishes, needs and available space their priority. Your representative will get the measurements and layout of your new home to work with you as you decide what to keep and what can be gifted, sold or donated. Family members can pack boxes, so why pay a senior moving service? When you’re moving from a larger family home to a single-story condo, an apartment or other smaller space, it is challenging to understand how belongings will fit in with the new living arrangements. When retirees move, the demands are physical, emotional, and logistical. Senior moving service companies are staffed by professionals who take the guesswork out of every step of relocating, saving you both time and money. Whether a service has years of experience or a proven franchise system, trained employees focus on what matters to you to make your transition much smoother than family members could. When should I contact a senior moving services company? Many retirees try to tackle moving on their own then reach out to a senior moving service when it becomes apparent their plans are not working. Save yourself the frustration and get in touch with two or three senior moving services as soon as you know you’ll be relocating to discuss your needs, concerns and any special circumstances. Ask for price quotes and a thorough explanation of what each service can provide. However, if time is not on your side, senior moving companies can act quickly using their network of service providers. Utilizing a senior moving service relieves much of the burden of preparing to live in your retirement home. The 2010 Census shows that the 65 and older population is growing faster than the total U.S. population, and many of those people will move into a home more suitable for retirees. Senior moving services offer a great value by understanding the assistance needed with the overwhelming task of transitioning from homes clients spent most of their lives into a smaller house or apartment.